Right. Just been giving the net a short soak and good rinse and hang dry. The python has had a good soaking. Will circulate bleach through it again. Going to strip all the hoses and hardware out of the 55 and soak them seperatly to get the outside clean, circulated the bleach through them for 24 hours so insides should be good. Fill the tank one more time with bleach and clean the top rim good and where the suction cups were. Normally, I just add more bleach to it as I see the level of it decrease with chlorine testing (using a swimming pool chlorine test kit). As the water tends to build up dissolved dirt & debris, I'll then do a complete change of the water and add back fresh bleach. That could be once a month or every six weeks, depending on how fast the water looks dirty. I keep the bleach amount at a level at least as high as the test kit will read and probably much higher than is needed to be kept in a swimming pool. If only a level needed for a swimming pool should eliminate all pathogens that humans may contract, then a level at least 5 times higher than this should kill off most any fish pathogens as I see it. The only fish pathogen that I'm aware of that won't be killed by chlorine is Mycobacterium (Fish Tuberculosis) -- which is not the same as human Tuberculosis, although it can cause an infection in an open cut in people having there hand in a tank infected with it. Mycobacterium needs to first be subjected to alcohol or acetone to dissolve its protective wax coating, for chlorine bleach to be effective in eliminating it. Could be other fish disease not being immediately affected by chlorine bleach, but if so, I'm not aware of any others. It's easy for me to change the bleach water as all I need to do is to pull the plug to drain it. You could probably use a Python for draining out the garbage can when the time comes, which should only take a few minutes. Might want to place a heavy stone (or brick) in the bottom of the garbage can, to eliminate its tipping over by the weight of the Pyrthon on one side when the water level gets down to the bottom; could be a mess of a couple of gallons to mop up off the floor if you don't I did warn you about nets though -- don't leave them in for an excessive amount of time and don't use the bleach solution container as a permanent storage/sterilization place for them. They won't last very long if you do. I remember in the fish stores years ago, they used to keep a small tank with a Methylene Blue solution for a permanent place to keep the nets between use. I don't know how effective that was on all possible pathogens but it had to be useful for many. I'm not sure what fish stores do today as I rarely buy any from the shops; they just don't stock the specialty species I maintain, that I can't get directly from the breeders at the various clubs' fish auctions if needed. I read in one a past email that you keep a bleach solution on hand at all times to disinfect nets , hoses , etc. I plan on doing the same thing. I have a new 20 gal plastic garbage can I plan on using for this. Do you change the solution every time or add bleach to keep the solution at the strength you want as the chlorine dissipates ? In Zee Telugu Omkaram Program today 1st February, 2015, The famous Omkaram Devi Sri Guruji suggested how to light Speeches (Deepams) in a manner to gain wealth and the blessings of Lord Kubera and Deity of Wealth Lakshmi Devi. It is Saturday today. Today is the day in which Sukra Planet enters in Saturday. So it is considered very auspicious day. One can use this day to get rid of debts and poverty by doing a simple and special puja for the grace of wealth deities Kubera and Lakshmi Devi as described by Zee Telugu Omkaram Yogam Kshemam Devi Sri Guruji. The Devi Sri Guruji advised to light 2 speeches (properly cleaned) with ghee and pure honey. Guruji said both the speeches should be kept in a manner facing each other. By doing this one can get rid of poverty and attain infinite riches in their life. This is the Omkaram Yogam Kshemam puja suggested by Omkaram Devi Sri Guruji in Zee Telugu Program 1st February, 2015. Omkaram 31stJanuary, 2015 Yogam Kshemam Program in Zee Telugu. Omkaram Devi Sri Guruji in 31stJanuary 2015 episode in zee telugu described about the latest puja in order to establish these benefits. The puja to be done by folks to gain the above benefits is very simple and can be done by any. Omkaram Devi Sri Guruji daily suggests some puja to get some benefits and these pujas are quite simple. In Omkaram 31stJanuary Program guruji described in a beautiful way about how to use Basil tree puja to get the above results. Please see Omkaram 31stJanuary, 2015 youtube video to find the way and perform Omkaram Yogam Kshemam Puja.
" Knowledge is knowing the tomato is a fruit, wisdom is not putting it in your fruit salad. " వెలయున్ భాగవతాఖ్య కల్పతరువు వుర్విన్ సద్విజ శ్రేయమై. ఇక్కడ మహాభాగవతాన్ని కల్పవృక్షంతో పోల్చి చూపిస్తున్నాడు పోతన మహాకవి. లలిత స్కంధము అంటే మనోహరమైన విభాగాలు కలది అని భాగవతపరంగా అలాగే వృక్షపరంగా లలితనైన స్కంధములు కలది అని. విశేషణాలు వుభయాన్వయంగా, అటు మహాభారతానికి యిటు కల్పవృక్షానికి కూడా పొందుపరచడం జరిగింది. కృష్ణ మూలము, ధృఢమైన మూలము వృక్షపరంగా, శ్రీకృష్ణ పరమాత్ముడే మూలము యిందులో భాగవతపరంగా! శుకాలాపాభిరామంబు, శుకపిక పక్షుల కలకలారావములతో మధురంగావున్నదిట వృక్షము, ఐతే శుకమహర్షి ఆలాపంచేత, ఆయన చెప్పటం చేత ఇది మధుర మధురాయమానము అంటున్నాడు మహాభాగవతపరంగా! మంజులతాశోభితమున్, మంజులత్వముచేత శోభించేది మహభాగవతము, మనోహరమైనటువంటి తీగల చేత అల్లుకొన్నది కల్పవృక్షము. సువర్ణసుమనస్సుజ్ఞీయమున్, సువర్ణములు అనగా మంచి అక్షరములు కలది మహాభాగవతము, సుమనస్సులు అంటే దేవతలు. దేవతలకు కూడా తెలుసుకోదగినదిగా వున్నది మహాభాగవతము. కల్పవృక్షపరంగా, మంచి రంగులు కలిగి, సుమనస్సులు అంటే, మంచి పుష్పములతో అలరారుతున్నది అని అర్థము. సుందరోజ్వలవృత్తము, సుందరమైన ఉజ్వలమైన వృత్తాంతము కలది శ్రీమహాభాగవతము, సుందర వుజ్వలమైన వృత్తము అనగా చుట్టుకొలత కలది ఆ కల్పవృక్షము. మహాఫలంబు, మోక్షమే ముక్తియే ఫలంగా కలది ఈ మహాభాగవతము, ఐతే మహాఫలములతో శోభిల్లుచున్నది కల్పవృక్షము. విమల వ్యాసాలవాలంబునై, విమలమైన విస్తారమైన వ్యాసమైన ఆలవాలము కలిగినటువంటిది ఆ కల్పవృక్షము, ఐతే మహాభాగవతము వ్యాసుడే పవిత్రమైనటువంటి మనస్సుతో వ్యాసుడే ఆలవాలముగా మూలముగా కల్గినటువంటిది ఇది. వెలయున్ భాగవతాఖ్య కల్పతరువు, భాగవతము అనే పేరుగల ఈ కల్పవృక్షము శోభిల్లుగాక! ఉర్విన్ సద్విజశ్రేయమై, ద్విజములు అంటే పక్షులు, కల్పవృక్షము పక్షులకు సమాశ్రయముగా వున్నదిట, సద్విజః అంటే వేదాంతులు, విజ్ఞానవేత్తలు, బ్రాహ్మణులు, విద్వాంసులైన వారికి, ఎవరైతే మోక్షార్థులై వున్నారో, మోక్ష సంకల్పార్థులై వున్నారో అటువంటివారికి శ్రేయోదాయకమై, మోక్షఫలప్రదాయకమై ఈ మహాభాగవతం వెలయు చున్నది అన్నాడు. ఇదీ లలిత స్కంధము కృష్ణమూలము ఐన మహాభాగవత కల్పవృక్షము. ఆహా! ఎంత సుమధురమో గదా అ పోతనగారి భాగవతము. ఈ వ్యాఖ్యానము www.teluguone.com/bhakti లో నాగఫణిశర్మగారిచే చేయబడినది. చాలా బాగుంది ఆయన వ్యాఖ్యానము. [BlueDanube] Making mistakes is a part of life. 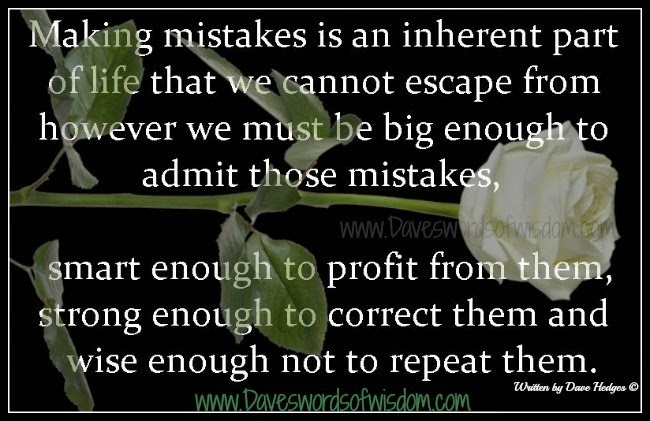 ~ written by Dave Hedges. K S Rao Kunchala posted: "As latest reports say, Samsung lost the clash of the big phones last quarter in Chinese market as Apple's iPhone devices enticed purchasers in the significant market. Apple Inc. was behind Samsung's most recent reversal in fortune. As studies indicate, "
As latest reports say, Samsung lost the clash of the big phones last quarter in Chinese market as Apple's iPhone devices enticed purchasers in the significant market. Apple Inc. was behind Samsung's most recent reversal in fortune. As studies indicate, iPhones with bigger screens which are available in Chinese market robbed Samsung's Galaxy phone market in significant Chinese base market. In the second quarter last year, Xiaomi overtook Samsung to turn into the greatest selling cell phone producer in China. Samsung now positions third in that market, after Apple hustled to the top in the final quarter, as per Canalys (a research company). [BlueDanube] FROM CLAY TO MOSAIC.....!! !